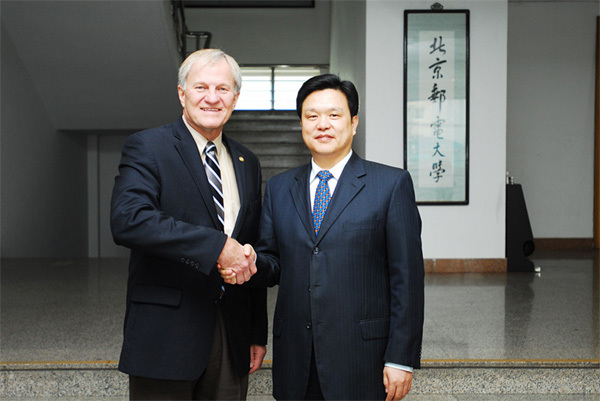 On April 16, President QIAO Jianyong met with Glenn Mroz, President of Michigan Technological University. Xin Lingling, the Assistant to the President and the Director of General Office, Ren Chunxia, the Director of International Office, were also participated in the meeting. Firstly, President Qiao expressed his warm welcome. Then, he introduced our guests to BUPT’s history, scientific research, professional features and academic structures. President Mroz presented not only his congratulations on a number of successes BUPT achieved in the last few years, but also his intentions on establishing a cooperation between BUPT and Michigan Technological University. President Mroz said that two universities need to enhance academic communication between students and professors in the area of information telecommunication. Lastly, President Qiao pointed out that next year (2015) is our 60th anniversary celebration of the founding and welcome President Mroz to participate in the celebration. 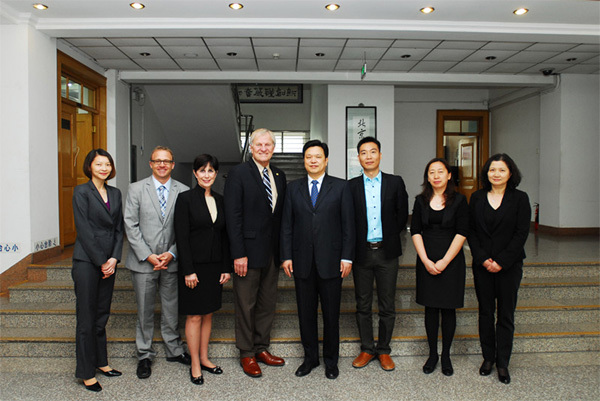 Glenn Mroz, President of Michigan Technological University, was accompanied by his colleague, Mr. John Lehman, Associate Vice President of Enrollment Services and Marketing and Communication, Ms. Thy Yang, Director of International Programs and Services. 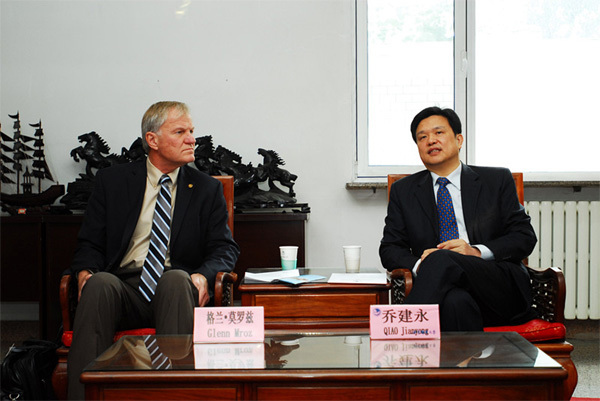 President’s wife Ms. Gail Mroz and an officer of US Embassy to China, Mr. LU Chenguang also attended the meeting.